Would you love to be a certified NLP Trainer, deliver NLP trainings, be smart in your structure, creative in your style, powerful, effective and fun? Or would you like to upskill your training style and structure generally? We are excited to announce the success of our Trainer Training event. The Course is a collaboration between Your Business in Mind Ltd and inimitable Master Trainer Beryl Lyndley. It is aimed at those who want to work more effectively in developing their staff, who might train in different organisations, and those who might want to add strings to their freelance bows. Our training revolves around structure, process and self. In the first two modules, you will learn and refresh your ability to design training through an intentional structure: how to create the perfect trainer state for you and unlock the full range of your capabilities: how to work responsively with individuals and with groups, creating dynamic connection and energy. We seek to create synergistic alliances between the group and the learning. The ultimate outcome is to bring excellence into your training and delivery style, through understanding structure and processes which enable you to meet or exceed your learners’ outcomes. Certification as an NLP Trainer takes place in Module Three. You might choose to take the first two modules, even if you don’t want to be able to train people in NLP specifically. We have flexibility. Our Trainer Training will run over three modules, to give delegates time to integrate and refine learnings through practice, and create excellence in their personal training styles. The style of the course is that delegates will receive tutor input supported by a personal coaching approach, to allow for the greatest development. You will receive extensive high quality feedback from tutors, peers, and via video work. Our venue includes a residential option which allows those who learn more easily away from the distractions of home to fully immerse in the experience, and to enjoy the relaxing environment and facilities of the venue. Every module is likely to require at least one early evening input session. The training will run with a maximum of 18 participants. It is highly interactive. The emphasis is very much on individuals developing their own unique blend of competences and styles which meet the standards expected by accrediting professional bodies to deliver to Masters level. We will use a video portfolio to enable delegates to find a neat third position for self- evaluation, awareness and development. Next event to be announced – contact Jan on 07892 902354 to register your interest. Note that there will be one evening class on all modules, so please choose your residential options with this in mind. Modules One and Two only: If you would like to improve your training and presentation skills and are not an NLP Master, you are welcome to join the event for the first two modules. If this is you, please contact jan@yourbusinessinmind.com to discuss further and for pro rata costs. Beryl was the first female Master Trainer in the UK. She is co author of the highly successful and accessible book NLP in 21 Days, and one of the most extraordinary trainers in the business. 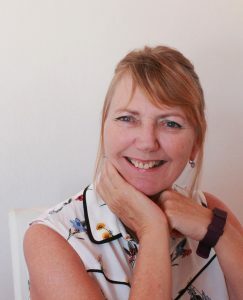 Beryl combines an inside out knowledge of NLP with the wisdom and experience of creative practice. Dr Jan Russell (Dexter) is a twice certified NLP Trainer and Director of Training and Development for Your Business in Mind. 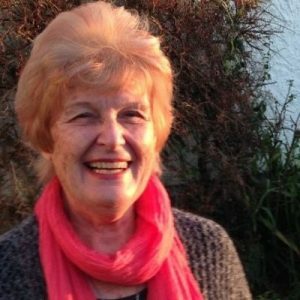 Jan has earned an excellent reputation as a trainer in diverse settings, and regularly utilises NLP modelling in her work at Leadership level. Jan is has a visiting Senior Fellowship in Coaching at the University of Lincoln. As well as training and coaching, she writes fiction for fun and brings her story telling abilities into all of her work. From time to time we engage guest tutors from our NLP trainer associates pool, as appropriate. Setting personal goals, creating a robust trainer identity, the energetics of the trainer state, verbal artistry in the group setting, the categories of Virginia Satyr, stage anchoring, the presentation format. Structuring NLP content and processes, in setting learning styles, teaching a practical skill set, stages of group development, styles of group facilitation, turning NLP knowledge into effective lessons, blending content and process. Organic questions and answers session, written paper, live demo of an NLP application, business applications of your accreditation, accrediting with recognised bodies. If you would like to take advantage of this rare opportunity please contact jan@yourbusinessinmind.com Places are limited and this is a rare opportunity, and it will be a case of first come first served. We require a deposit to hold your place.